Photography Apps are some of the most popular apps on the Google Play store. No surprise about it. The ever improving cameras on mobile phones are making it more enjoyable snapping pictures, doing image editing, and sharing photos online. Photography apps also continue adding more useful and fun features. But which should you consider using? Which photography-related Android Applications deserve to be hailed as the top apps to use at present? 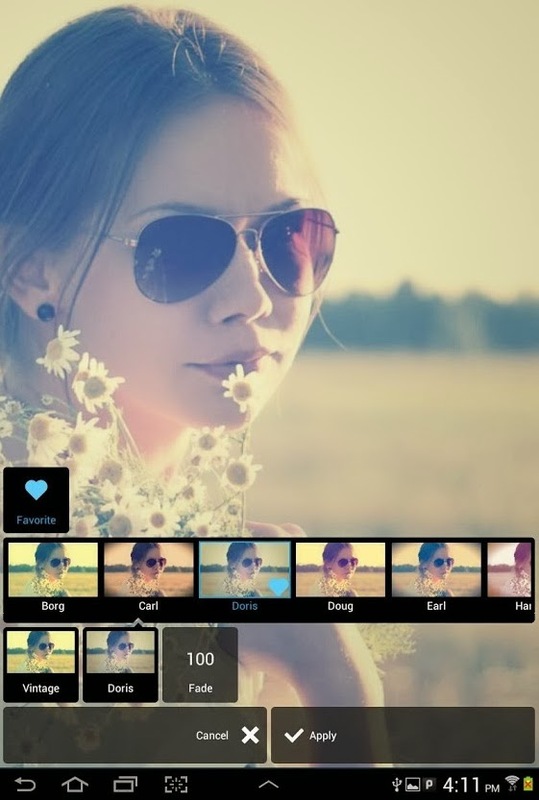 Let's find-out Top Ten Best Free Photography and Photo Editing Android Apps Review for Smartphones and Tablets below. We have compiled a list of leading Android photo-related apps we have been chosen based on their features, functions, reliability, and other factors that make them unique and worth using. Many of them are free apps but we did not limit our options to free ones since there are paid apps that also provide great value for your money. Check out our list below. If you are still looking for a great photography-related app to use, don’t hesitate to try one of the apps mentioned above. If you already have one installed on your phone, it surely wouldn’t hurt trying a new one to experience new features and fun ways to take, enhance, and share photos. The apps in our list are arguably some of the best photography-related apps available at the moment.